The Beauty of Life: Beauty Question: Do You Combine Candle Scents? Beauty Question: Do You Combine Candle Scents? Recently, I've been on a bigger candle kick than usual -- but in a completely different way. I've always been a one candle at a time kind of gal ... but all of a sudden, I feel the need to burn multiples simultaneously. And we're not talking unscented here -- I mean combining rose with ginger, white jasmine with pomegranate, even tuberose with vanilla. I thought it would make my apartment smell strange and, dare I say it, bad -- but instead, it's brought to light all of these new fragrance combinations I never knew existed! So my Beauty Question today is this. 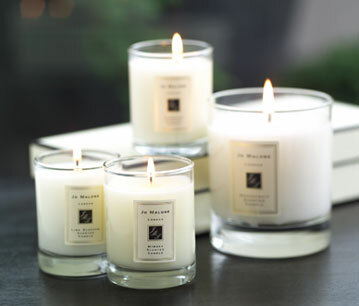 Do you combine candle scents? I'm intrigued by your responses -- let me know in the comments! I love mixing scents. I will burn dragon's blood incense with a sweet pea candle and an oil burner with egyptian sandalwood oil (which is heated with an apple cinnamon candle!). I find it adds layers to my room's scent as opposed to combining them together and making one terrible smell.